The experience of recent years shows that management is the key to ensuring that the sector meets domestic electricity demand and allows trade on the regional market. Kyrgyzstan’s former Presidents, Kurmanbek Bakiyev and Askar Akayev, were infamous for their embezzlement of hydro-energy resources. In the winter of 2008-2009, Bakiyev had to begin rationing electricity production due to low water levels in the Toktogul Reservoir, Kyrgyzstan largest hydro-energy producer. 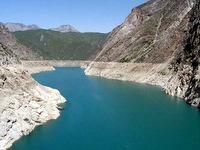 By late 2008, the water level in the Toktogul Reservoir fell to 9.5 million cubic meters (mcm). While the crisis was caused by several factors, including a drought that occurs approximately every 10 to 12 years, the corrupt management of the hydro-energy sector was the primary cause. To prevent the complete collapse of the hydro-energy infrastructure because of the low water levels in the Toktogul Reservoir, the government had to ration electricity supplies to domestic consumers. In some areas of Kyrgyzstan 10-hour blackouts became part of everyday life. Even during the crises in recent years, hydro-energy has continued to be sold illegally by top-ranking government officials (EDM, November 13, 2008). In late 2009, the volume of water reached 12.5 billion cubic meters (bcm), but this was still insufficient to secure an uninterrupted supply of electricity over winter. To make things worse, in February this year Bakiyev doubled energy tariffs, further contributing to political discontent among the population. While Bakiyev had promised that he would build the 1,900 MW Kambarata-1 and 240 MW Kambarata-2 hydro-energy plants, most people in Kyrgyzstan realized that tariff increases mostly benefited his family members. Improvement in the management of the hydro-energy sector is currently visible from the rapidly increasing water level in the Toktogul Reservoir. Within four months the water level has reached 17.6 mcm (www.24.kg). According to Elektricheskie Stantsii, the power station monopoly, one year ago that level was a mere 10.4 mcm. Thanks to this accumulation of water, electricity supplies are likely to remain stable throughout the upcoming cold season. Following the April 7 regime change in Kyrgyzstan, former Energy Minister, Iliya Davydov, was accused by the interim government of assisting Bakiyev and his family in embezzling revenues received from hydro-energy sales abroad. Osmonbek Artykbayev, an entrepreneur and former Member of Parliament (MP) was appointed to replace Davydov after April 7. Initially, some Kyrgyz experts were skeptical about the new acting energy minister, arguing that his background in business did not meet the requirements of this position. However, Artykbayev has shown a sense of determination to rescue the sector. Shortly after becoming energy minister, Artykbayev announced an open tender for foreign energy companies (www.energo-es.kg, June 30). Consequently, five Kazakh energy companies will now buy Kyrgyz electricity. Although the details of the new contracts remain undisclosed, this is a first step towards increasing transparency within the sector. Meanwhile, rumors are circulating about the possible renewal of violence as the campaign season begins. Kyrgyz NGO leader, Cholpon Jakupova, has warned that southern Kyrgyzstan is increasingly ruled by field commanders and the interim government’s presence in that part of the country is fragmented (www.zpress.kg, July 14). Other NGO experts predict that the upcoming electoral campaign is likely to turn ugly, with leaders of the criminal underworld involved in the political struggle. A terrorist attack against Toktogul Reservoir has, for a long time, been Kyrgyz security officials’ worst fear. Some security officials are even afraid that should relations with neighboring states worsen, the Toktogul Reservoir might become a primary target for attack, based upon its national strategic value.